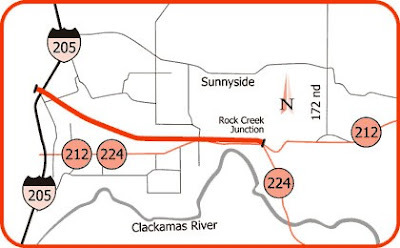 Public Hearing on the Sunrise Project, a proposed new limited-access highway between Interstate 205 and Rock Creek Junction. Click here for background information on the project. Wednesday, November 12, 2008, 4:00p.m. – 7:00p.m. Thursday, November 13, 2008, 6:00p.m. – 9:00p.m. Please attend one of the public hearings to learn more about the project and share your comments. Oral and written comments will be received at any time during both events. Rain! Is it time for a new umbrella?